Known as the Valley Isle, Maui vacations feature some of the most magnificent sights anywhere in the world. But it’s not just another pretty face. Maui boasts incredible activities — including hidden waterfalls, a chance to bike down a volcano or swimming with sea turtles — championship golf courses and 120 miles of beaches ideal for surfing, snorkeling and windsurfing. 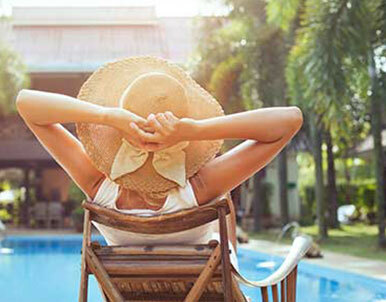 It’s time to find a flight with United Airlines® and book a Maui vacation package today. 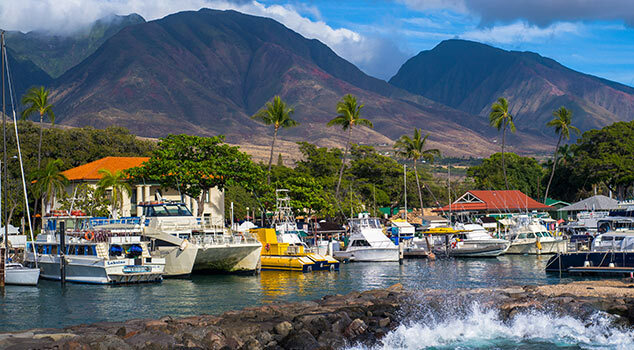 Immerse yourself in Hawaiian culture with a visit to Lahaina, a historic whaling village. Along with a sense of Hawaii’s past, you can browse art galleries, unique shops and some of Maui’s finest restaurants. How many rounds do you think you can fit in on your vacation? 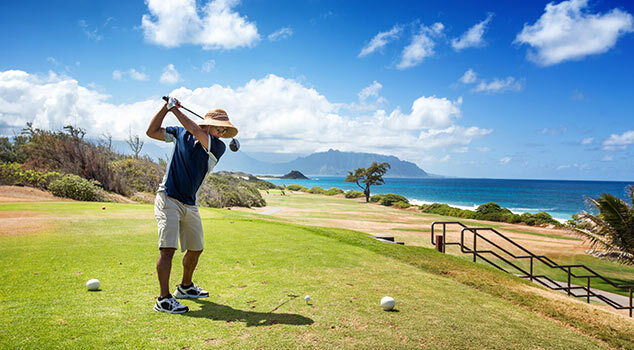 Maui has 14 golf courses, weaving through ancient lava flows and surrounded by palm trees and ocean breeze. There’s a good round or two waiting for you. So we mentioned Maui was gorgeous, right? Nothing demonstrates that better than a drive on the Hana Highway. Filled with waterfalls, cliff views and lush rainforests prepare to have your breath taken away. And ending in the quaint town of Hana is a nice bonus. A great way to experience the true flavor of Hawaii, guests experience delicious Hawaiian cuisine as well as a dynamic Polynesian show. 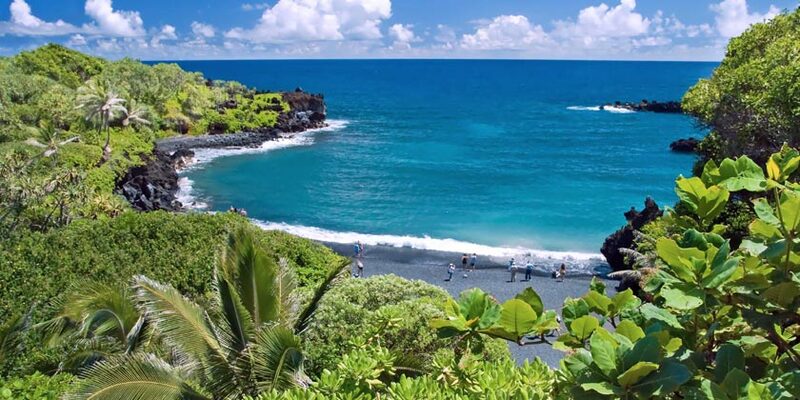 Explore the secrets of the lush tropical beauty of Maui's Hana coast. 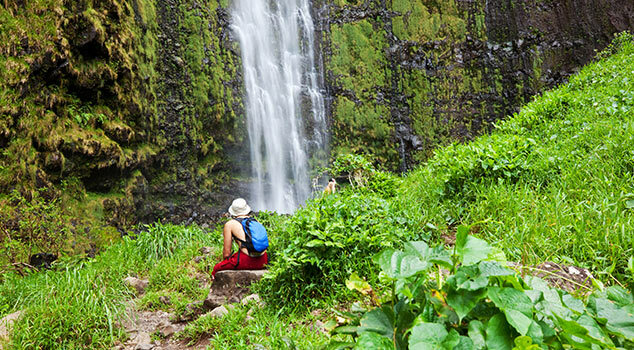 This tour is an exploration of some of Maui's famous natural and cultural landmarks. 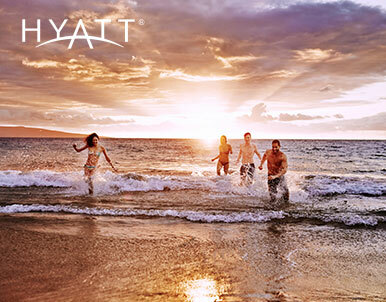 Resort info: Located on 40 spectacular oceanfront acres on famed Kaanapali Beach, the award winning Hyatt Regency Maui Resort and Spa offers unlimited activities and amenities in a setting of tropical luxury. 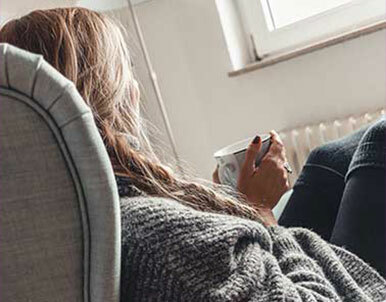 Resort info: Andaz Maui at Wailea welcomes visitors to this exclusive Maui destination, where luxury and sophistication meet personalized services and style. Resort info: Fronting a world- famous beach, this Hawaiian resort provides families and honeymooners with a charming setting to create lifelong vacation memories. Resort info: Set on Ka’anapali Beach at the foot of legendary Pu’u Keka’a, Black Rock, this ocean side resort greets travelers to a world of relaxation.